In 1946, Jim Read started selling military surplus for deep discounts and Grocery Outlet has been wowing bargain-minded shoppers ever since. Delivering thrilling deals is the company’s mission; in fact, it’s led the company to become the nation’s largest extreme value grocery retailer. Grocery Outlet, Bargain Market offers brand-name, quality products at up to 40-70% off conventional retail prices. They offer anything from antiseptics to fresh produce. Grocery Outlets customers are bargain hunters, coupon clippers, working parents, thriving families, and those who love high-quality products at very low prices. This is what drove Ed and Sheryl Ryker in deciding to change their retail career path from Managers and Assistants to owning their own retail chain. 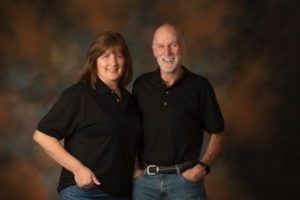 The Ryker’s worked in multiple major chain retail stores in Washington for over twenty years and were ready for the next step. A friend shared with them the exciting opportunity of opening their own Grocery Outlet retail chain and how it would be a good time to move up in the retail ladder. You got to love retail and the difference everyday makes. Each day is new and completely different than the day before. If you love it, then retail is your thing. The Ryker’s decided to make the change and open a store themselves. Before making the move to McMinnville from Washington, the last major retail chain they worked for was Brown and Cole. Which originated in 1909 and is the oldest supermarket in Washington. In 2007, Ed and Sheryl were proud to call McMinnville Oregon’s Grocery Outlet their very own. Over the years they have continued to bring a welcoming and fun atmosphere to all who enter the store doors. A normal day as owners begins with Ed arriving early in the morning to work on the purchase orders and Sheryl to follow with the day to day logistics and marketing opportunities. Each day they make sure the store looks appealing, fresh, and that they are able to connect with the customers by bringing them the best value possible. Serving others is our main drive and passion as owners and operators. When you are in the retail business, every day is new and exciting with the chance to make a difference. From a customer who is overjoyed with all that you have to offer, to giving a child a sticker at the checkout stand. McMinnville is a community with tons of volunteerism and a sense of commitment. It brings you a sense of calming peace being a part of this community as a business owner. A comforting, safe and welcoming place to live. Being a part of a small thriving community gives us the opportunity to donate and be a part of the local high school, nonprofits and city events. The McMinnville Chamber of Commerce plays a huge role in making sure we are well informed and up to date. The Chamber is always there to help by making sure we succeed as business owners. We love Greeters! It is a great way to connect with others, hear about the local city gatherings or events, and gain resources and insights from other businesses.